To get into the spirit of St. Patrick’s Day, you don’t need to be Irish. If you practice these expert dating and flirting skills, you’ll likely have a date on your calendar before the day is over, or will at least enjoy the time together with the object of your affection. 1. Send a text message the the person you’ve had a crush on to say “Happy St. Patrick’s Day. Even if they aren’t Irish, chances are they’ll reply to you. 2. Log onto an online dating site or mobile dating app and change your profile photo to wearing something green. 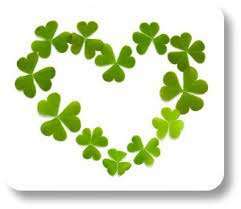 Do the same on Facebook and change the first line of your profile to say, “Happy St. Patrick’s Day” or “Kiss me if you’re Irish.” Start swiping right in the morning to find a date by the afternoon. 3. If you have a date on the calendar, pick up a green carnation for him or her. Although receiving carnations might appear tacky on Valentine’s Day, a month later it’s fine. It’s worth a chuckle or two and shows your date that you took the time to think of them. 4. Grab some friends and go to your local watering hole. You don’t need to drink green beer, or anything green for that matter to get into the spirit. While standing in line, comment on someone’s outfit who has caught your attention. Guys should wear a green tie. Ladies, compliment him on it, even if it’s the tackiest thing you’ve seen all month. It’s the kind of day where approaching others isn’t just accepted, it’s expected. 5. Pick up a a flashing green button that says, “Kiss me if you’re Irish.” Chances are you’ll get at least a smile, if not a peck on the cheek. 6. Speaking of smiling, a smile is contagious and everyone wants to be around someone who appears to be happy. Practice the 5-second stare while smiling at someone you would like to meet. It’s the cue for them to come over and wish you a Happy St. Patrick’s Day. Who knows where the conversation will lead? 7. Start snapping photos on your SmartPhone and post them to Facebook and your Instagram account. Compliment the guy with the tacky green tee shirt and take his photo. It will help get the conversation started. Chances are he’ll want to see his digital photo and may even ask you to take another one. You’ll be engaging in no time, or possibly even more. 8. Put a green bandana on your dog’s collar and go to the local dog park. There’s a reason it’s called puppy love and it’s a great conversation starter. 9. Go to a St. Patrick’s Day parade in your local city. Everyone loves a parade and it will give you an excuse to start a conversation with those you end up bundled up with. 10. If the festivities are too much for you and you’d prefer avoiding crowds, go to a sushi bar or your favorite Japanese restaurant and sip on some hot green tea and order green-tea ice cream for dessert. 11. Set up a coffee date and order the green tea Frappuccino at Starbucks or meet at an ice cream shop and grab a mint-chocolate ice cream cone. 12. If you have a sweet tooth, bake some chocolate cupcakes and decorate them with green frosting. Bring a few for your date to nibble on. If you’re not the best in the kitchen, stop by your local bakery or sprinkles cupcakes store and select some luscious items all wrapped up and ready to go. Keep in mind St. Patrick’s Day is the perfect time to practice the art of flirting. Go ahead and wear that flashing green button to draw attention to yourself. If you are not one to visit a local pub, go to a public place and wear green and start smiling. You have permission to do it all. Julie Spira is an online dating expert and bestselling author of The Perils of Cyber-Dating. She’s the founder of CyberDatingExpert.com and host of #DateChat on Thursdays at 8p/ET on Twitter. For online dating advice, follow @JulieSpira on Twitter, on Facebook.com/CyberDatingExpert and sign up for the Free Weekly Flirt Newsletter.